And now for installment #2 of my reviews. 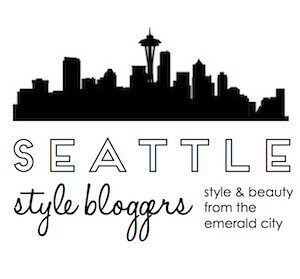 In this post, I'll focus on beauty products. I was hoping to cover beauty and services in one post, but it got too long. Actually, it got so long that I'm going to have to split my beauty reviews into two separate posts, and then I will have a final post covering service reviews. Personally, I think I look awful in "purple" or cool reds, and most classic red lip colors are just that. They look heavy and awkward; I end up looking pasty and puffy. I need warmer colors and I've finally found a red that leans more towards orange-red, but isn't quite as bright as the MAC lipstick I have. I nearly bought a very similar version at the Estee Lauder counter, but everyone else had had the same idea and so all the Washington Nordstroms were sold out. I'm happy it worked out that way, because I ended up finding this Revlon color and saving $15! Another good option is MAC Lustre Lipstick in Lady Bug, which costs around $14. What do you get when you combine Dutch, German, Scottish, and Scandinavian genes? One very red-faced offspring. I've had random people ask me "Were you just running? Your cheeks are so rosy!" "No, ma'am, just cursed." On top of that, I have very spacious cheeks (They are like the Great Plains), so downplaying at least one of these things is always a goal. 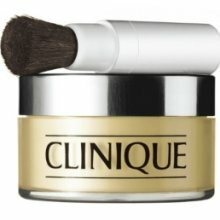 Reducing redness is easier and cheaper than reducing size, especially thanks to this loose powder from Clinique. 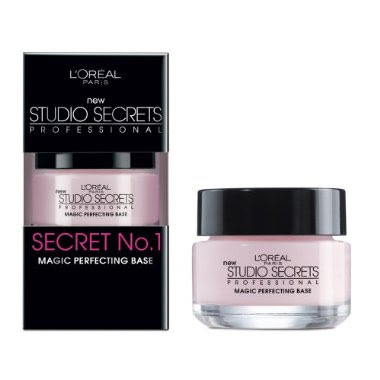 It's one of the few products that is marketed as having instant effects AND actually delivers said effects. Another plus: it didn't make me break out in a rash. Essie always has the best colors. For those of you who are very particular about your french manicure, they have about a zillion different pale pink and beige shades made just for french manicures. 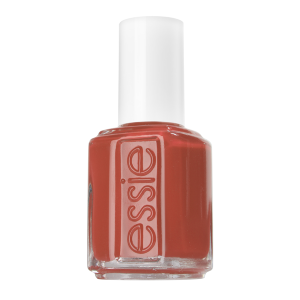 I find that Essie lasts longer than OPI, as well (But only about 10 seconds longer. I chip my nail polish almost instantly). The color shown here is the newest shade in my collection. It's a lovely rusty, brick red by the name of Alligator Purse. I can't tell you how much I love this stuff. It's a great primer, but also works wonders when worn alone. It's mattifying, but not so much that your skin looks like a piece of copy paper (I've experienced this with other products). It also magically perfects you skin! It evens the tone, minimizes pores, and can even erase fine lines. At around $12, this product can't be beat. Like with the Clinique product above, I was super thrilled when I didn't break out in a horrible rash. Oh cool, thank you for the tip! Do they have it at Target, too? I also breakout in rashes a lot from certain products. I was really excited reading that I am not the *only* person who has to deal with this. Do you have any specific brands that you stick to? The only luck I've had so far is with Neutrogena. Thanks! 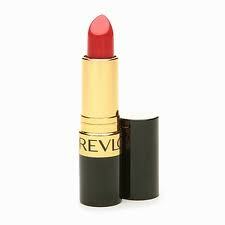 I definitely will be trying out the Revlon lipstick (love the shade). I would usually suggest Clinique, but I'm starting to get suspicious. It's nice that they don't put perfumes in their products, but that's not the only thing people can be allergic to. Actually, I was surprised to find I could wear Dior's foundation. That stuff is like tinted cologne. So much perfume on my and I still haven't broken out!